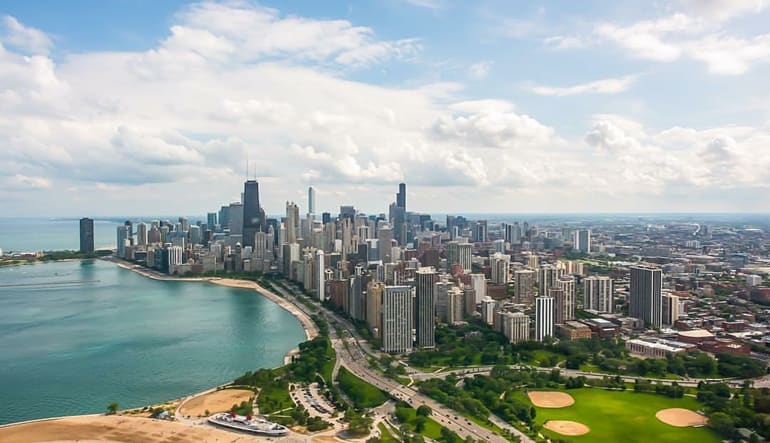 Take an epic journey through Chicago’s amazing cityscape and rich history. 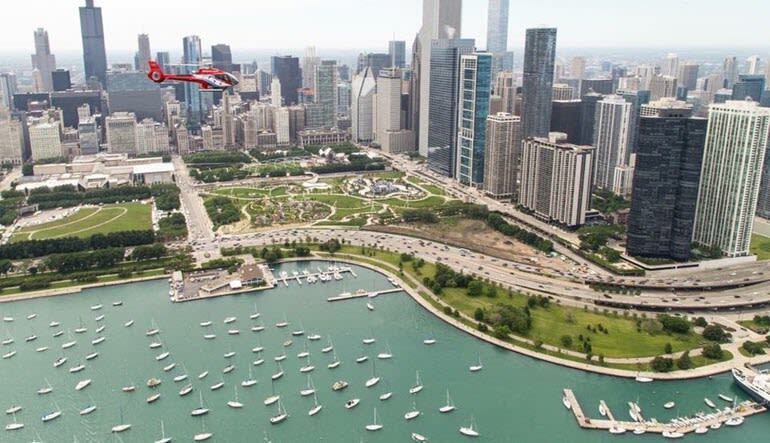 You’ll depart from the downtown heliport, just minutes from the “Loop.” In preparation for your flight, you can enjoy fun facts about the history of Chicago and “pilot an aircraft” from the interactive flight simulator in the 6,000 square-foot Customer Experience Center. Depart from the only Private Terminal minutes from the Loop! Then, take off! Aboard one of the state-of-the-art helicopters you’ll experience unparalleled views of the world’s best skyline from the optimal vantage point in the sky. Capture one-of-a-kind photos from a unique perspective among Chicago's soaring skyscrapers and spectacular lakefront. 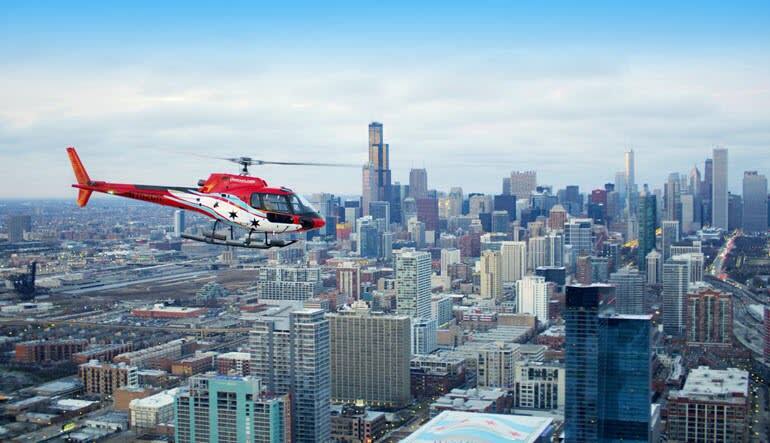 Take a daytime Chicago helicopter flight! Fly the W - see Wrigley Field from the air! Get amazing views of the entire city. 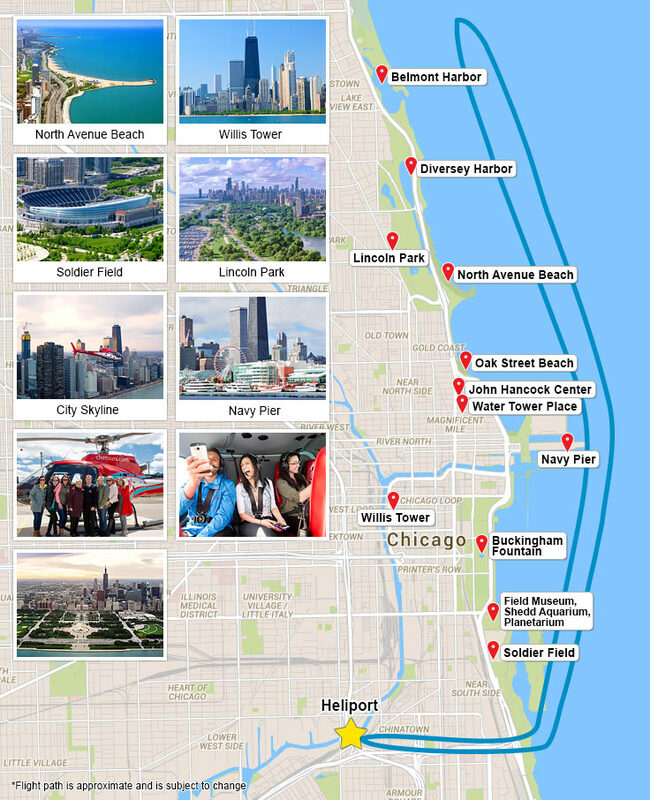 Day tours showcase the most popular city sites including Willis (formerly Sears) Tower, Navy Pier, the Magnificent Mile, Wrigley Field - home of the Chicago Cubs and many more. As you glide across the city your pilot will share facts and folklore that bring Chicago to life.